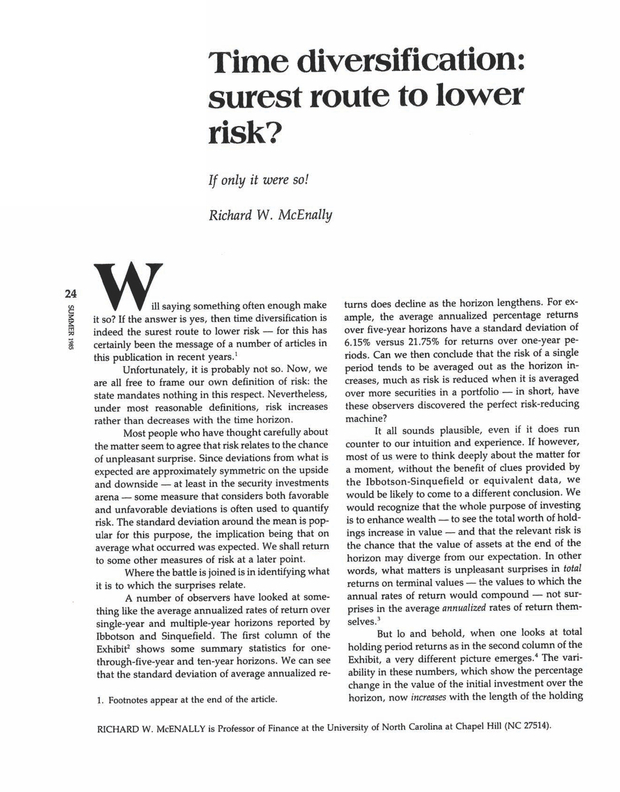 Time Diversification: Surest Route to Lower Risk? Professor of Finance at the University of North Carolina at Chapel Hill (NC 27514). You are going to email the following Time Diversification: Surest Route to Lower Risk?